We know about Apple (of course) but the first computer I used in the UK when I returned from study in the US, was an Apricot. We have the BlackBerry of course (at least for how); but now we are about to have the Raspberry: an interesting computing device that has been under development in the UK for a while. Many countries are working on the idea of a cheaper computing device that will be useful for children in education, especially in third world countries. Apple showed one alternative path a few years back with the Mac mini that came with no keyboard, mouse or monitor: it was intended to be used with the devices that a PC owner would already possess. It was also possible to connect the mini to a TV. The cost of the device would tend to put it out of the reach of education establishments in countries where money is short. The Raspberry Pi follows some interesting lower cost examples. Nicholas Negroponte former head of MIT Media Lab also came up with a cheap computer alternative with the One Laptop per Child initiative, which eventual produced the Quanta-made XO-1 for $100. More recently in India, a cheaper tablet computer, the Aakash, costing some $50 was developed. The Raspberry Pi is smaller than the earlier developments from OLPC and Aakash. It is produced as a basic board the size of a credit card (85.60mm x 53.98mm x 17mm) that plugs into a TV. It will run Linux only: Debian, Fedora and ArchLinux will be supported initially. The idea has been coming for a while, but the arrival of cheaper processors and flash memory have made the whole concept a practical reality with the system on a chip (SoC) made by Broadcom (BCM 2835) while power comes from replaceable cells (4 AA batteries) as well as mains power. 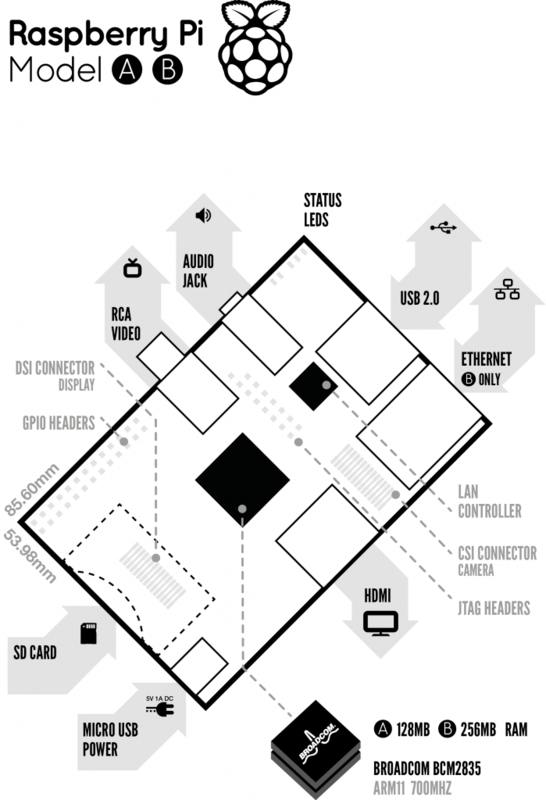 Devices may be connected via a USB port. This is about to hit the markets (if not the shelves) this month or next, perhaps. There are two boards being produced: the Alpha for $25 and the Beta which is billed as a more deluxe version with a couple of extras including larger memory and an Ethernet port, for $35. Currently the first ten boards are being offered to users by auction as a way of raising funds (and awareness). I have been in touch with Raspberry and hope to be updated with any new developments, particularly regarding availability in this part of the world. 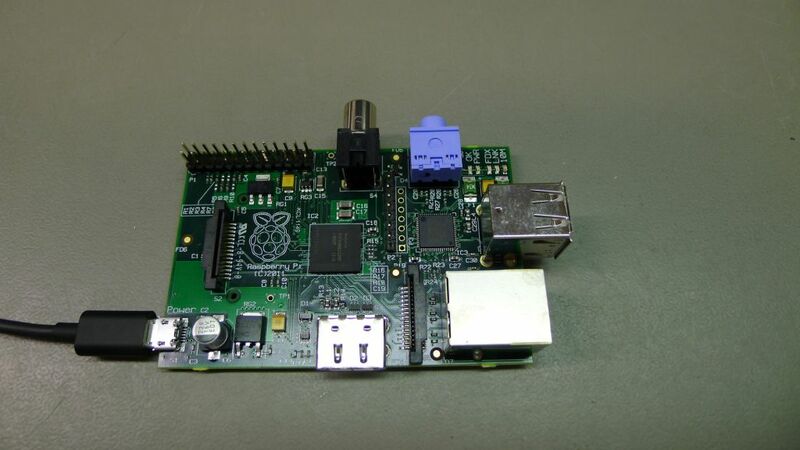 A note received from the Raspberry Pi Foundation on Monday (2 Jan. 2012) tells us that the first small batch of production boards has been built. Apart from a minor error in the PCB design, they work very nicely, so ten of them have been made available for auction on eBay. There are parts in stock for the first 10,000 units, and the device is expected to be in volume production by the end of January.